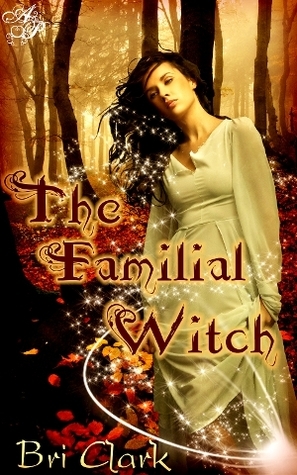 IN A GLANCE: Bri Clark's The Familial Witch is a very detailed story all jam packed into a novela. Every part is so detailed that I could see everything as I read each word. I really enjoyed reading The Familial Witch mainly because of all the descriptions and the writing is done so beautifully. This Novella had all the right descriptions in all the right places with out going to far and putting to much in the story. I really loved the characters in The Familial Witch as well. Aisleen, who is very strong and independent would have to be my favorite of them all. Even though her husband left her she is still strong and makes it all on her own! The only thing I didn't really like were those missing pieces that were left when the ending came. I really hope there will be more to this story so I will get to see those pieces put together. The end also came pretty quick, I didn't want it to end so fast, but like I said I hope there will be more to this story! I am giving this book/Novella a 3 1/2 mainly because of those loose pieces that I really wanted answered before it ended.